You can easily add your files by drag and drop method directly anywhere on playlist from file explorer of OS to content field. 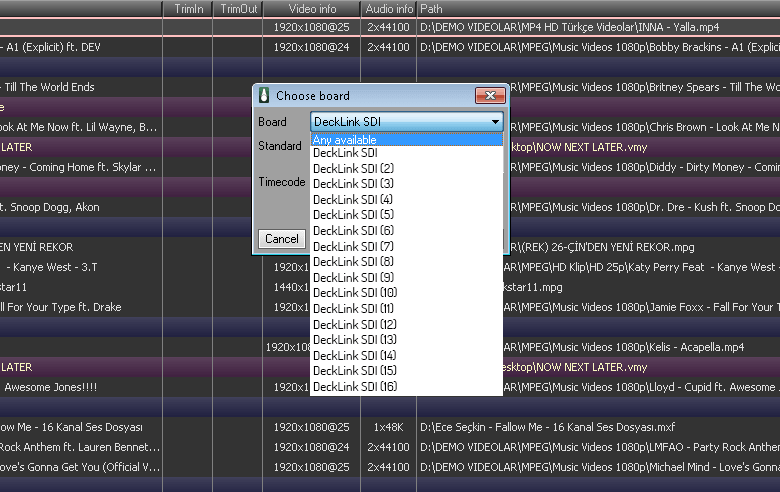 There is no restriction on number of media files added to the playlist of playout. Playout can provide UHD 12G or Quad 3G SDI output beside HD, SD output, concurrently can provide IP output while providing conventional output. IP outputs can be RTP/UDP as constant bit rate for broadcast IP multiplexers, or as RTMP output to any CDN, social media or YouTube live. Playout has an CG render server inside. It provides animation, crawl, roll, video, video with alpha channel, picture, picture sequences, clock or any interactive CG items can be included in playout automation. 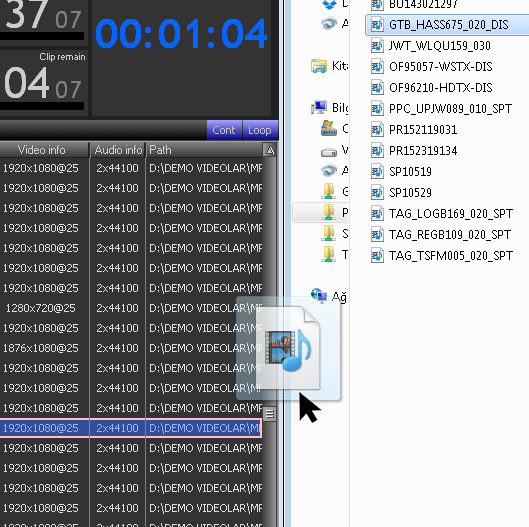 Playout trim window provides editing on a video can be as virtually to trim or split into files on playout. Select and independently listen to any of the 16 channels of audio beside audio tracks. 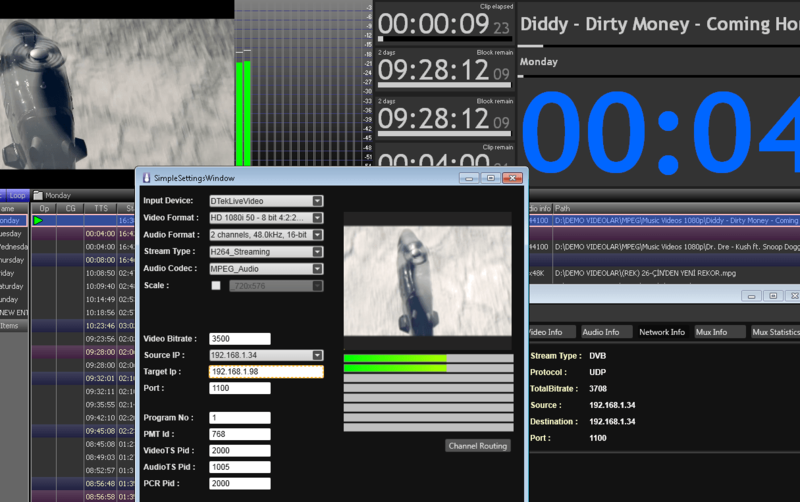 Easy OnAir playout automation has a powerful performance, which provides a unique property and stability to it. 4K playout automation, 8 HD channels playout or 16 SD channels playout run conveniently in suitable environment. 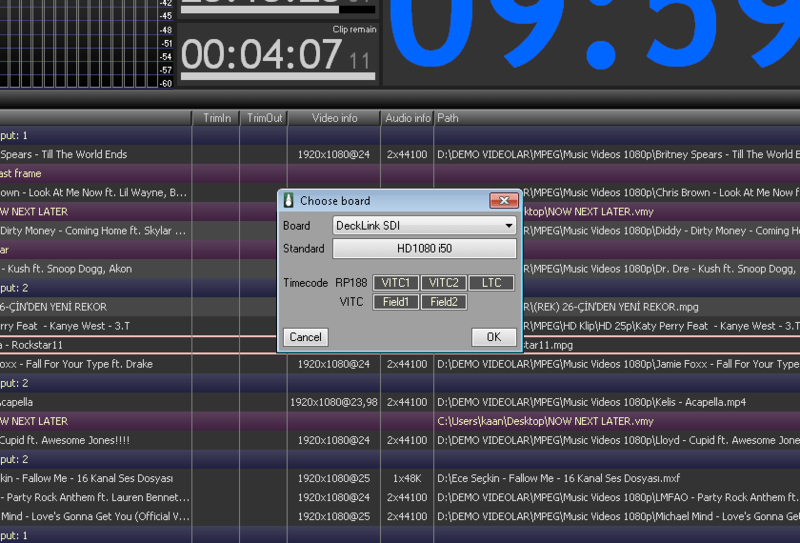 Easy OnAir playout can run as stand-alone application. If desired, it can run also server client application by installing Net Control application. Easy Net Control helps to control multiple client at a time over network. 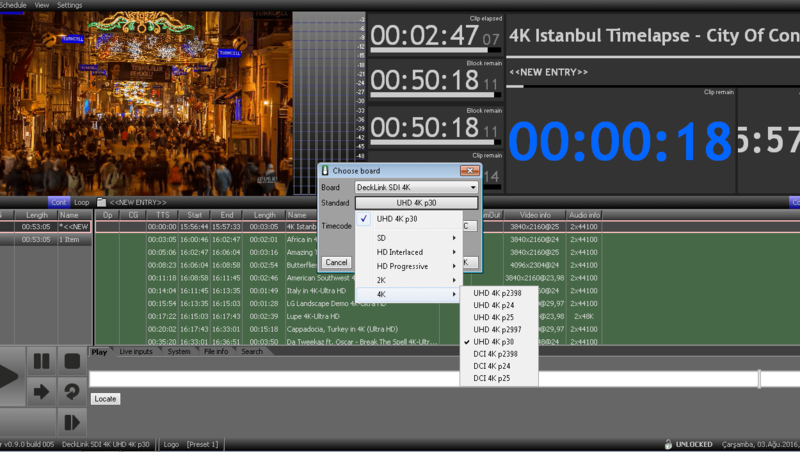 Easy OnAir playout helps users to mix different codecs, resolutions, audio sample rates, frame rates and aspect ratios in one playlist. User just select output resolution and frame rate; it provides auto up-down convert in real time. EMS can provide stream output to any IP multiplexer or IP Decoder as Constant Bit Rate in UDP or RTP protocol. H264 or MPEG-2 codec as HD or SD in ATSC/DVB. Beside broadcast IP output, playout can be used also as web or social media playout with the help of RTMP output to any CDN, social media and YouTube live. 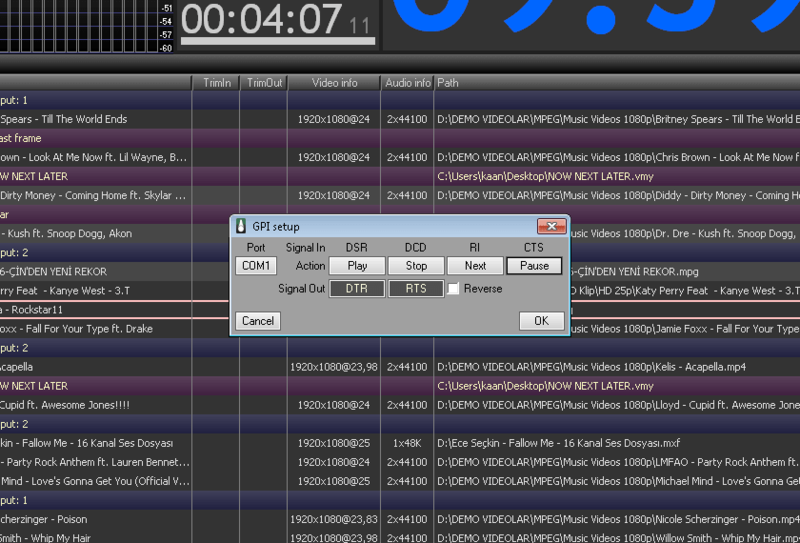 Playout can generate DTMF Cue tone on any selected audio channel. In same way it can detect DTMF cue tone on any audio channel and trig the playlist. 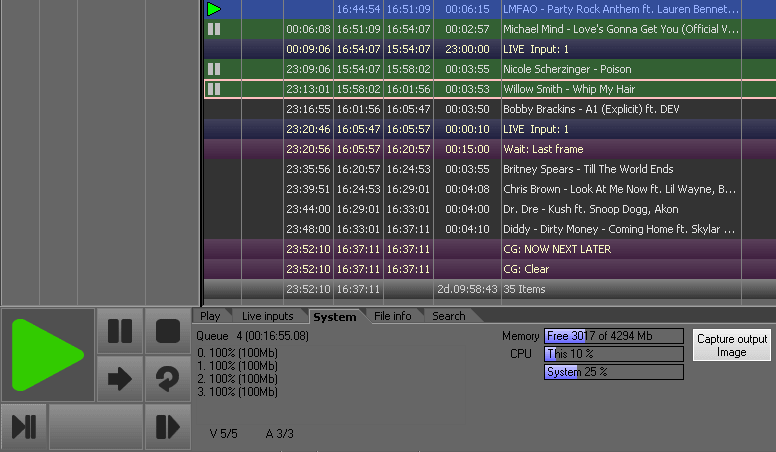 Playout playlist can have different audio level files, and this results to loudness or silence on audio output. Dynamic Audio Limiter Compressor prevents this kind of errors at audio output. 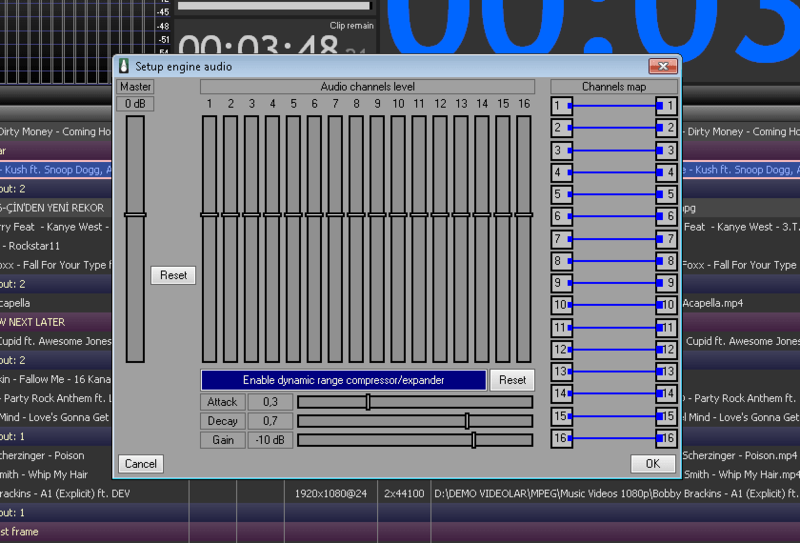 Playout supports 16 audio channels, and sometimes users need to route audio channels inside playout, Audio Channel Mapping helps to route them inside it. Media files are created in UHD and archives are in HD or SD, playout output is HD, all these sources can be used in same playlist and Easy OnAir playout provides real-time automatic up/down conversion. Playout automation helps users to play big and small files from network storage, playing from network storage is not same operation to play from local hard drive, Easy OnAir provides automatic file caching mechanism for network files to play safely. Playout operation safety is increased by using Easy OnAir in mirror mode. Mirror mode is fully redundant playout. 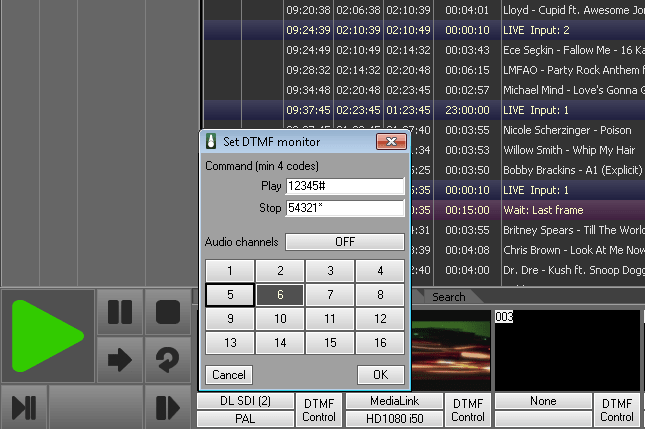 Easy Net Control is client application to create a mirror playout automation, or M+N back up facility. 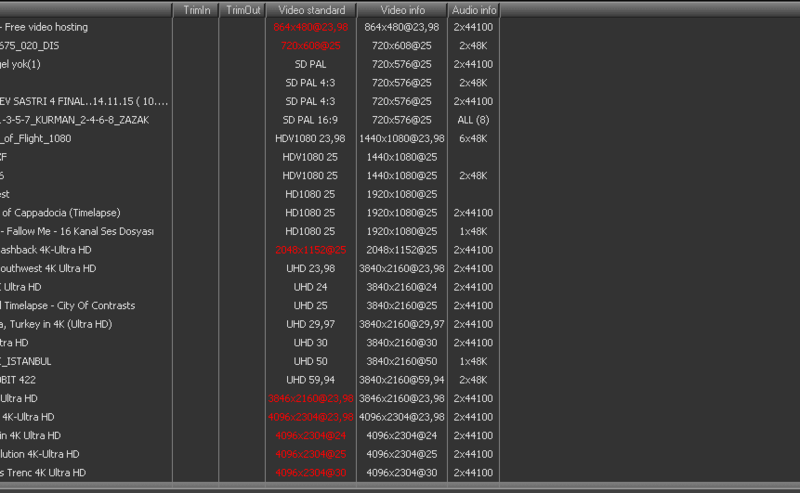 Playout turns into automation with GPI triggers (Input and Output). Any device can control Easy OnAir via GPI input, and Easy OnAir can control any other device by GPI output. 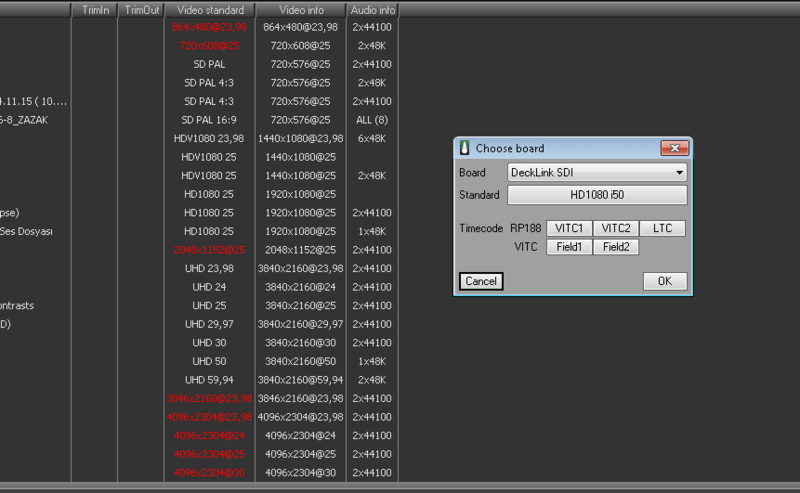 Playout and DVB subtitle integration needs time code data on SDI signal as RP188, LTC and VITC (Field1 or Field2). 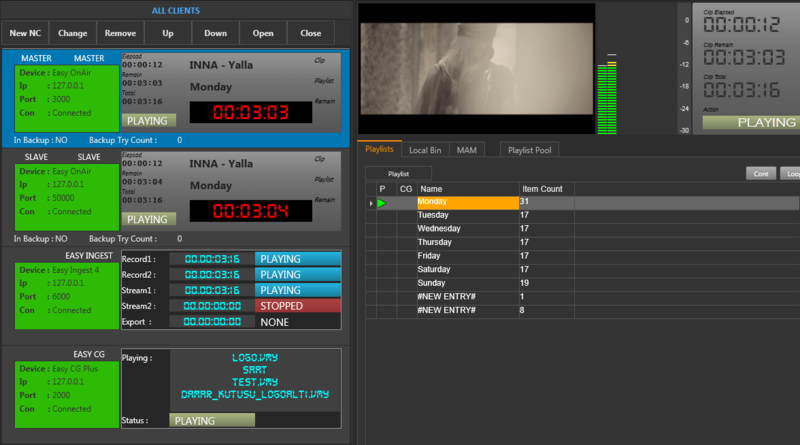 Similar user cases can integrate with Easy OnAir playout automation.